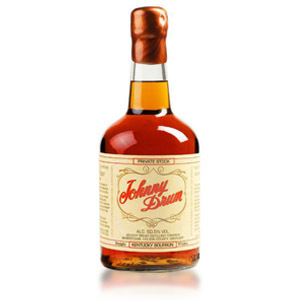 In my ongoing quest to discover truth in the claim that there is still good value in bourbon, I grabbed a bottle of this inexpensive Kentucky Straight Bourbon. At $16 a bottle, I’m not expecting fireworks. At 100 proof (50% ABV), Old Fitzgerald has a decent heft and can stand up to cocktail ingredients. This bottle is labelled “DSP-KY-1” (which means it was distilled at the Heaven Hill/Bernheim distillery) and bottled at DSP-KY-31 (the original Heaven Hill facility at Bardstown, Kentucky), where it was probably warehoused as well. Heaven Hill is a huge operation, capable of filling 1000 barrels a DAY, and owning the rights to produce 86 different bourbon labels, all of which are made using only two mashbills (one with wheat as the flavor grain, the other with rye). 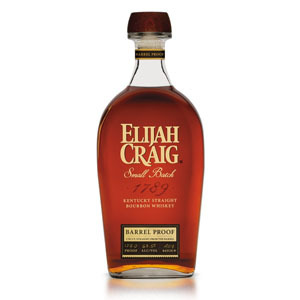 That means that Elijah Craig, Evan Williams, and Henry McKenna, and many more are all basically the same rye-flavored straight bourbon whiskey, just aged and proofed differently. Old Fitzgerald, Larceny, Parker’s Heritage 10 year, and Rebel Yell are basically all the same wheat-flavored straight bourbon whiskey. 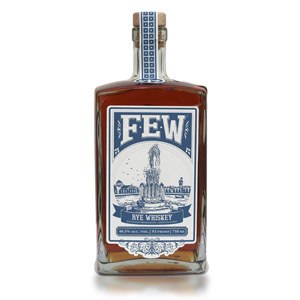 Sorta takes away from the “Prohibition-Era”, “Bottled in Bond” mystique, doesn’t it? Nose: Walnuts, caramel-covered apples, an unfortunate dose of “fake”-smelling corn syrup, and a bit of wood varnish. Palate: Hot on the tongue. Not over-oaked, but some nicely-balanced cooked sugar notes with some baking spices (clove, cinnamon), reminiscent of ginger snap cookies. Finish: Medium-long, a continuance of the palate flavors, and mercifully without bitterness. A final ghost of roasted chestnuts. With Water: Several drops of water opens a very nice cloud of vanilla, and rounds off (and dulls) the palate. Take it or leave it, but the synergy with water bodes well for its mixability. Is that a word? 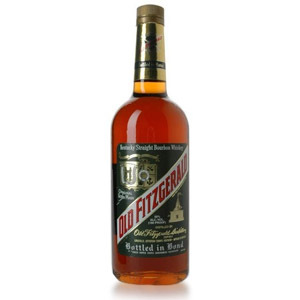 Overall: While Old Fitz doesn’t bring anything exciting or original to the table, it has a good amount of heft (100 proof), some reasonably well-balanced flavors, an unobjectionable finish, and is light enough to mix a cocktail without dominating it. I could wish the aroma had a little less of that “cheap bourbon” character, but beggars (at $16 a bottle) can’t be choosers. After mixing a simple cocktail, I have to say I’ve had more robustly-flavored drinks with other bourbons, but not $16 ones. Just an fyi that Old Fitz BIB is made with the wheat (not rye) mashbill. 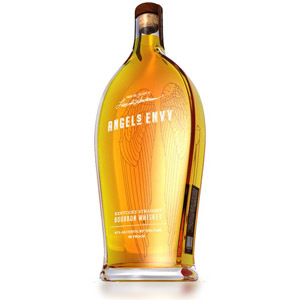 At its price, I think it compares favorably to wheaters like Makers, Larceny, Weller. Thanks for the correction! I’ve updated the post. At least you didn’t conclude on the basis of this bottle that there is no good value in bourbon. It all depends, I think, on whether you like bourbon in the first place. If not, there will be no good value. The real question is whether there is good value in inexpensive bourbon, and unquestionably there is. I think the Old Granddad Bottled in Bond is fine stuff (if not refined stuff) and can be found for as little as $17. In the greater scheme of things, bourbon is a better value than Scotch (again assuming you like bourbon) because you get an outstanding bourbon (I’m thinking, for example, the Knob Creek single barrel) for $40. Outstanding Scotches for that price are few and far between. I love Old Fitz Bottled in Bond. I have about a dozen good Bourbons in my cabinet, and it’s the one I grab more often than not. My palate must be a little different. I’m tasting clove, vanilla, and a hint of citrus. If the reviewer doesn’t like it, I’ll gladly take his or her share. where were you able to purchase? Found a bottle of Old Fitzgerald kentucky straight bourbon whiskey unopened. 100 proof aged 6 years from 1965 to 1971. Would this be worth anything? Not a whiskey or bourbon drinker. It belonged to my father-in-law and we’ve inherited it. It’s possible, although I don’t have any experience with antique whiskies. You’d need to contact one of the whisky auction sites like Bonhams (Google “whisky auctions”, there are several companies that do this), and ask them to value it and/or list it for you. This was a staple of my grandparents, so I was hoping for something still good and tasty from Old Fitz BiB (though it had long ago lost its 7 yo age statement). I was very disappointed initially; however, after sitting open for a month with a few intermittent drinks, it began to improve and never stopped improving. Now that it’s almost gone, I regret that I didn’t get two bottles. Glad to have its always good cousin Larceny waiting in the wings. Definitely one of the whiskeys that benefits from oxidation. Love ScotchNoob, but I’m wary of written reviews that don’t indicate how much of the bottle was drunk before reviewing.